Super Bowl Sunday is coming in a few days. Throwing a party? Providing beer and food? Try something different this time! 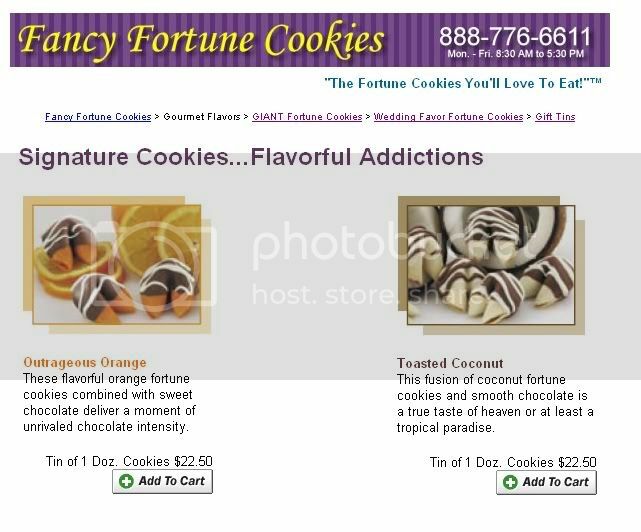 How about ordering something from the "Fancy Fortune Cookie" company? The Fancy Fortune Cookie company is breaking boundaries with their bold new fortune cookie designs. Not soon enough it seems, since many of the dining public have raised their fists in disgust over the stagnant designs fortune cookies have exhibited over the last fifty years. Waiters at Chinese restaurants all over the world are left helpless as patrons scream in disgust "Not this old thing again! When is someone going to change the look of these damned things?! ", at the end of each meal. The same cookie that was met with glee years ago, is now the worst part of every meal at Chinese restaurants, replacing sliced oranges which held the title previously. The Fancy Fortune Cookie company aims to change all of that, and restore the fortune cookie to popularity. Their designs are risky. Take for example, current topseller "The Giant Clitoral Hood Fortune Cookie"
The Giant Clitoral Hood Fortune Cookie, weighs over one pound, and is larger than the palms of two outstreched hands. Each one can be personalized, with either white or black chocolate, and outfitted with sprinkles. Nothing commemorates an anniversary or housewarming better than a Giant Clitoral Hood Fortune Cookie. If the Giant Clitoral Hood Fortune Cookie is too much for your mouth to handle, the Fancy Fortune Cookie Company offers mini cookies from their Cameltoe collection. As always, each cookie can be customized for differing tastes. Is America ready for a new, sexed up version of the fortune cookie? I think so. So this Sunday, try something new. 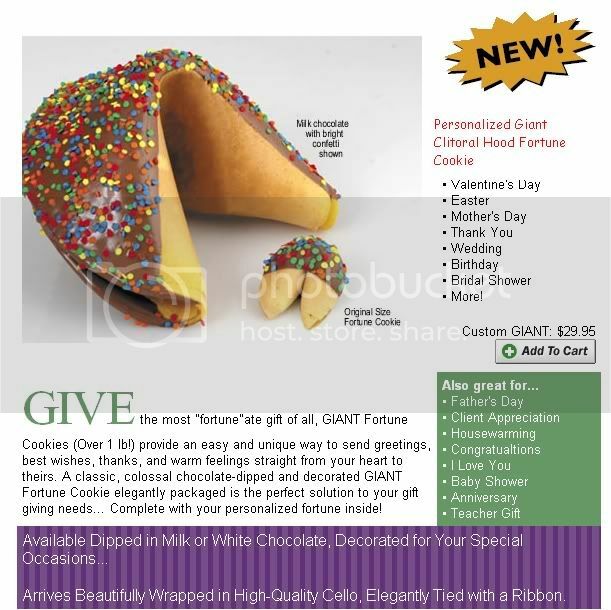 Order a Giant Clitoral Hood Fortune Cookie from the Fancy Fortune Cookie company today. Open your mind Quaid, and experience the cutting edge in fortune cookie design! "... ANCHORAGE, Alaska - By all accounts, the little black bear spotted near Juneau should be snug in its den, curled up beside its mother and sleeping away the harsh Alaska winter. Instead, the orphaned cub on Douglas Island is wide awake and scrounging for anything to eat — dog food, bird seed, dead crows. ..."
"...Now humans have stepped in where Mother Nature has failed. A live trap was set Thursday at the beachfront home owned by Greenbank and Gary Rosenberger to try and catch the fuzzball. The plan is to move the cub to a remote location off the island where it will be introduced to a denning box made of wood and filled with a straw bed...."
"He went out to the garage and thought he saw a dog carrying away a front quarter. 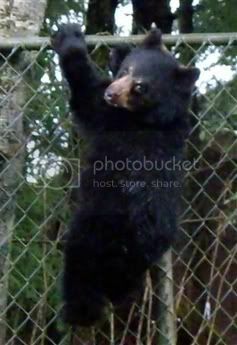 He followed it a bit and realized it was a tiny bear," Greenbank said. "The wood pile is just outside the front door. When he reached out to put another handful in there, he just about touched that guy because he had his face buried in that pan," Greenbank said. "The little guy had crawled up on the wood pile and helped himself." "To lure the cub into the trap, apples and cinnamon are being used, said Neil Barten, area wildlife management biologist on Douglas Island. "Basically, it smells like Thanksgiving," Barten said"
My parents could never get me to go to bed. It was a nightly struggle. Starting around 7pm I would start stacking stuffed animals in front of any clock I could reach hopefully blocking the time from my parents eyes. Then I'd run around the house screaming and crying, when my clever trick failed. If my parents used the "Smells Like Thanksgiving" ploy that's currently being used to lure the bear into hibernation, they might have had less trouble with me. Line my Garfield sheets with meatloaf and mashed potatoes and I would have jumped right into bed no questions asked, drifting off into a dreamworld full of gravy and high cholesterol. When driving home from the Bay Area after having spent the Christmas holiday with my family, I realized that I had left my phone charger on the end table next to my parent's large television, and my shoes by the front door. I should have just taken the loss and bought a new pair of shoes and a phone charger when I got back to Los Angeles, anything to avoid having to call my parent's for something like this, but against my better judgment and knowing full well what talking to my parents is like over the phone..
Where it rings for ages. My dad finally picks up the phone, in mid conversation no less. In Chinese. All Chinese translations are italicized..
Dad: "...OK OK OK! I'm picking up the phone..OK! 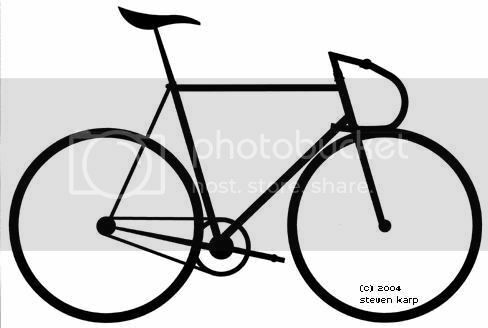 I've got it!" Mom: (Overheard in the background yelling in Chinese) "The phone is ringing! Pick up the phone!" At this point I hear the sound of stomping, and I immediately know that it's my ninety eight pound mom running down the hallway where she picks up another phone, thinking that my dad never answered the phone originally. A gust of wind could probably blow my mom clear into the next county, the curlers in her hair creating some sort of powerful wind catcher. Yet when she stomps down the hall it sounds like a herd of elephants. Me: "ah crap, just...Mom, Dad answered the phone!" Me: "Mom, Dad's got it.."
Dad: "I picked up the phone! Hang up the phone!" Dad: "Hi! Where are you?" Me: "I'm on the freeway...hey can you check on something for me?" Dad: "Which freeway? Are you almost home?" Me: "I'm halfway home, but Dad..I left some things in the house, can you check to see if I did?" Me: "I think I left my shoes and my phone charger at the house, can you see if they're there?" Dad: "What? Charger? What charger? Me: "My phone charger, I left it in the-"
Dad: "I'm in the computer room!" Me: "I know, but can you see if I left my phone charger-"
Dad: "I don't see anything! Where did you leave it?" Me: "Agh! Let me finish! I left it on the end table in the family room. Near the tv.. and I left my shoes by the front door.."
Me: "Not in the computer room! The family room! Can you please check if I left the phone charger in the family room?" At this point, all I hear for the next minute is rustling. The rustling of papers, the rustling of what sounds like large objects..
Me: "Dad, did you see them?" Me: "ughh, where are you?" Dad: "In the family room. I don't see your charger"
Me: "It's on the end table. It's probably still plugged into the wall"
Me: "The end table! By the tv, with the lamp on it!" My mom runs into the room. They bicker in Chinese for a bit. I hear her in the background saying she found my shoes. I breath a sigh of relief knowing that at least, my shoes were found and that I didn't have to try to describe where I left them. It would have been too much. Dad: "Shoes? He's looking for his phone charger!" Me: No! Dad! Don't let Mom on the phone!" Dad: "You don't have your shoes either? What are you wearing now?" Me: "Dammit! I have shoes! I just left another pair at the house!" Dad: "What about your phone charger?!" Me: "I left that too!" Dad: "How come you forgot all this stuff?" Me: "I don't know! Did you find the charger?" Dad: "I don't know, talk to your mom"
Me: "Dad! No! Don't put Mom on the phone!" Mom: "Hi Sweetie! Where are you?" A few days later, I received my shoes and phone charger in the mail.